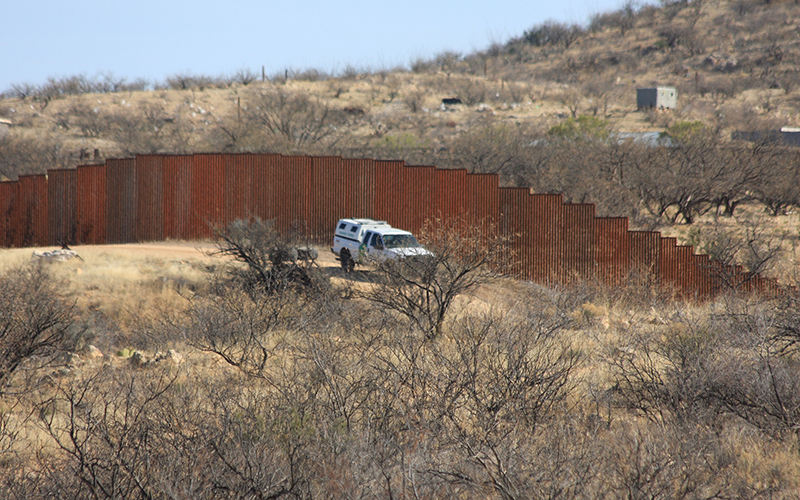 PHOENIX – Arizona plans to send “approximately 150 National Guard members” to the U.S.-Mexico border next week, but questions remain about the duties and duration of the deployment. The announcement came two days after President Donald Trump said the military is needed because “the security of the United States is imperiled by a drastic surge of illegal activity on the southern border.” On Thursday, Trump said he wanted 2,000 to 4,000 National Guard members deployed along the nearly 2,000 mile border from Texas to California. “We’ll probably keep them or a large portion of them” on duty until a border wall is constructed, he said. In a tweet Friday, Kirstjen Nielsen, DHS secretary, expressed her appreciation for Trump’s plea to strengthen the border.
.@DHSgov appreciates all the members of Congress who have voiced their support for @POTUS plan to deploy @USNationalGuard to defend our borders. @JohnCornyn @SteveScalise @RepMcSally @RepStevePearcea and many more. Border security is national security.